Frederic Rhinelander King, East Elevation, Proposed Library Addition. Dumbarton Oaks Archives (AR.AD.MW.GL.001). Dear Mildred, since my visit last week I have been at work on the enclosed sketches which I am sending you for your criticism and comment. No. 1 is a study of the end of the Library (East Elevation). I feel quite strongly that the French doors should remain in the center as I think you should go out of the room on the main axis and not at the sides. This and other drawings and photographs from the Archives are presently on view in the exhibition Architectural Contrasts in the Orientation and Bliss Galleries until January 5, 2014. 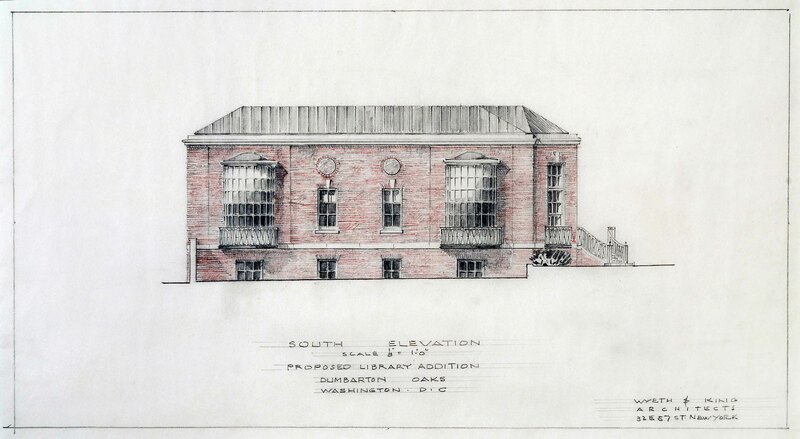 Frederic Rhinelander King, South Elevation, Proposed Library Addition. Archives, AR.AD.MW.GL.002, Dumbarton Oaks Research Library and Collection. 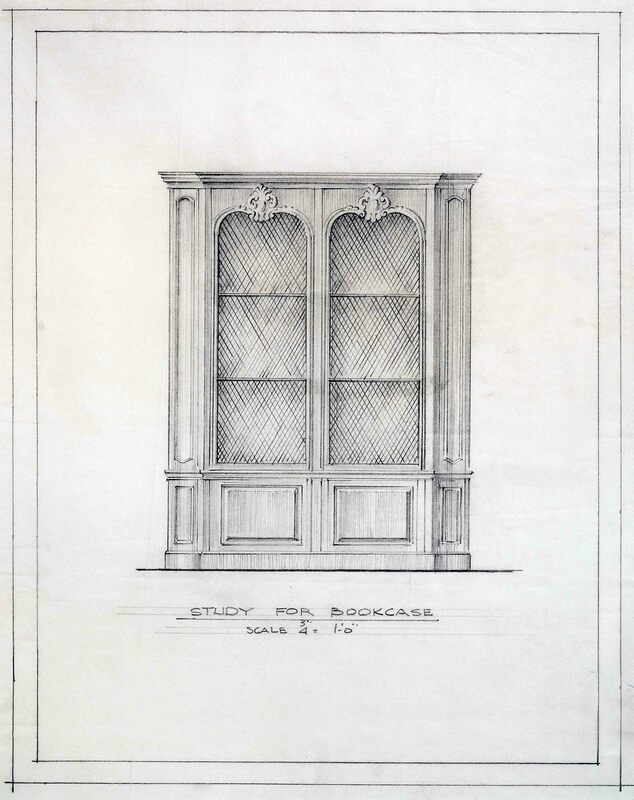 Frederic Rhinelander King, Study for Bookcase. Archives, AR.AD.MW.GL.003, Dumbarton Oaks Research Library and Collection.